A very fine example of a superior and classic Mandheling Grade 1 coffee. 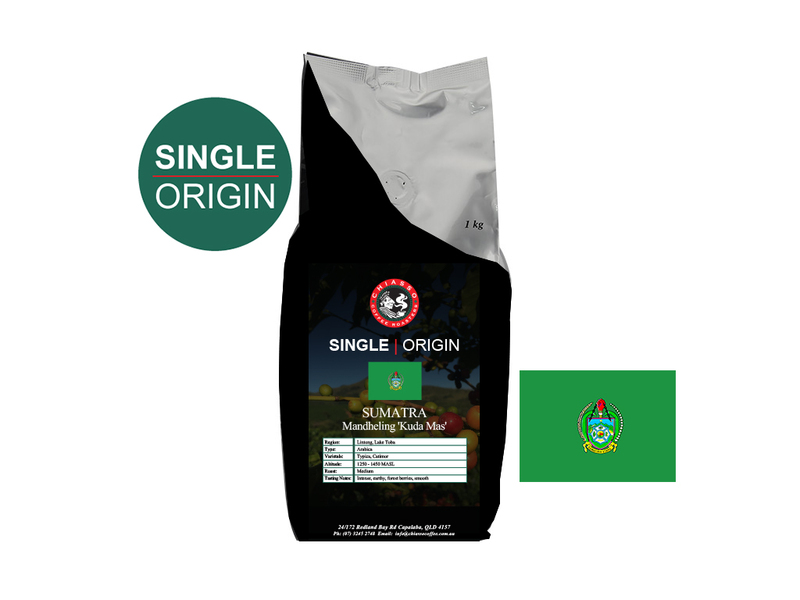 Grown in the highlands around Lintong and Lake Toba Kuda Mas, this is one of our core Sumatrans. The preparation is uniform, well graded with minimal defects and good bean size. Processing is typical for Sumatran coffees: hand-picked, pulped, fermented overnight, washed, gently dried out and finally the still wet parchment is hulled. There are very few wet mills, if any in Sumatra and almost all coffee is processed by hand on the farms where it is grown. This local processing is known as Giling Basah.